We are a sweet and intimate meditation community in Oakland, California. Our emphasis is on contemporary practice for modern lives. 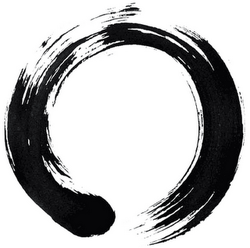 In our practice we draw on Zen teachings and traditions, as well as contemporary work in psychology, the sciences of complexity and ecosystems, the arts, poetry, philosophy, and social engagement. Zazen—meditation in silence and stillness—study, and shared inquiry are at the heart of everything we do. Through your participation and sincere practice you help create this community for deep inquiry into our lives and the timeless wisdom and compassion of the Buddhist tradition. This realization permeates the world through our everyday actions, words, and thoughts. Our community is connected not by ritual, dogma, or obligation, but by our aspiration and mutual care. Together we cultivate this dynamic process of waking up and growing up. This is our offering to a troubled world. Selected Writing by Megan Rundel, Ph.D.